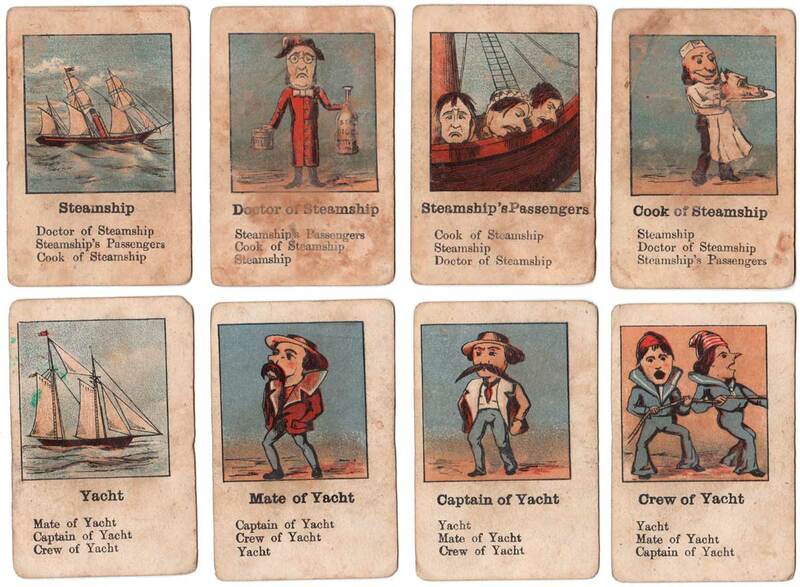 “Ship Sails” card game, unknown manufacturer, c.1885. Above: “Ship Sails” card game c.1885. Backs are bright green. Images courtesy Rex Pitts.